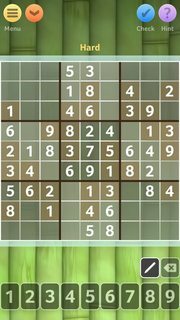 Above is a link to a half-solved sudoku puzzle. 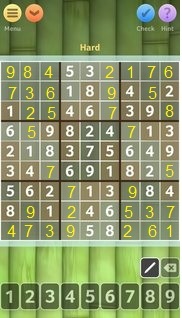 I tried to fully solve it but just cant figure out what to do now. Source: Sudoku-Branium studios It is an app on google playstore. In column 9, the two squares at locations (6,9) and (8,9) can both contain only a 5 or a 7. Any other digit at either location would cause an immediate clash with a similar digit in its row or column. It follows that one of them is 5 and the other is 7, and therefore that 5 and 7 cannot occur elsewhere in column 9. This technique is called a "naked pair". Location (3,9) can therefore only be an 8. After that, everything is straightforward. The key is in the row 7 and column 4.